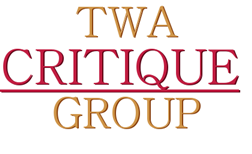 The TWA Critique Group welcomes writers of all skill levels. Our goal is to help each other improve writing and storytelling skills as well as provide encouragement. Writers receive both written and verbal feedback on their manuscripts. Our unique critiquing format promotes in-depth analysis, which maximizes learning. Best of all, we have fun in the process. 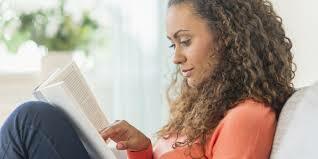 Whether you write short stories, novels, or memoir, you’re welcome to join with us to grow as writers. Time: 2nd and 4th Wednesday of each month, 6:30 pm – 8:30 pm. please email the group’s moderator at critique@tampawriters.org. Please read and follow the guidelines below before submitting. Limit submissions to 3,500 words. Submissions should be in RTF format, line numbered, with a small explanation at the top explaining what the piece is about. See our critique group member page for downloading submissions to review at our next meeting. On first page of text, drop down to about one third down the page to allow room for reviewers comments. Add a header. This is found under the ‘insert’ tab across the top or bottom of your page. Click ‘insert’ and choices will appear. Click ‘header’ and style choices will appear. Any style of header is fine. Type the title and the author’s name. Line numbers. This is found under the tab for ‘page layout’. Font size. Please select 12 as the font size. This is the industry standard. Double space lines. This is in the ‘paragraph’ section next to ‘font’. Page numbers. This is found under ‘insert’ tab, near the header choice. Again, any style is fine. After doing all that, hit ‘save as’… two boxes appear near bottom. one says ‘save as type’. click the arrow for choices. scroll to rich text format and click on that. You must be a current dues-paying member to submit. Join Today! For all submissions, the Critique Group moderator has the final editorial discretion regarding the length of the submission as posted for downloading as well as the timing of its critique by the group (regardless of its submit date). Direct any questions regarding this policy to president@tampawriters.org. NOTE: We do not archive submitted writing for the critique group for privacy and space reasons. It is suggested you create a folder on your computer desktop for future reference.